Body cleaning activities is a mandatory day-to-day activity especially for those who live in tropical countries. We usually use soap to clean our body and even body scrub to exfoliate our skin. 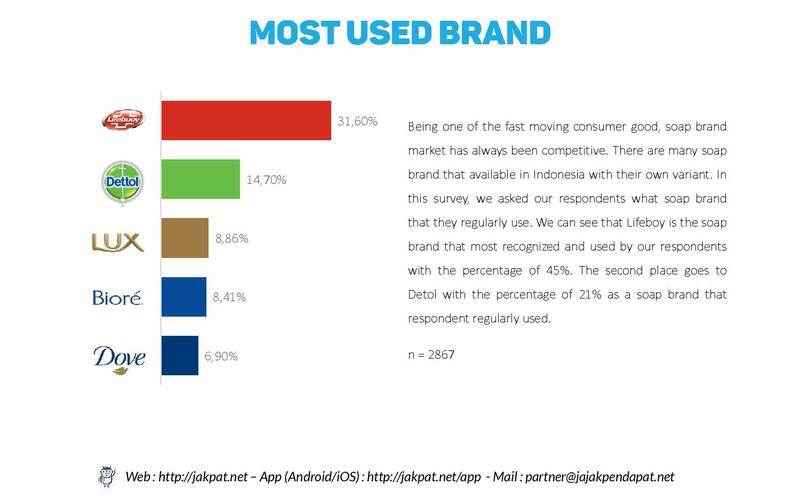 In Indonesia, there are many soap brand that caters different need of Indonesian customer. 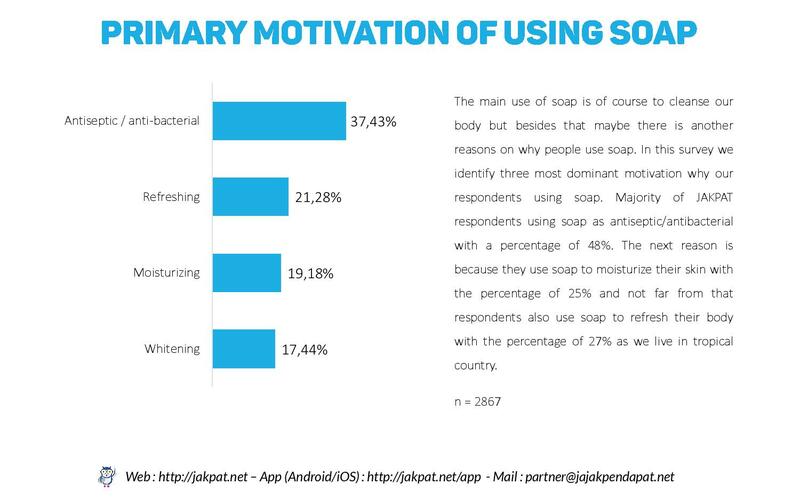 In this survey, we try to find out what motivated people to use soap and from that, we know three primary reasons our respondents use soap: as antiseptic/antibacterial, to moisturize our skin, to refresh our body. 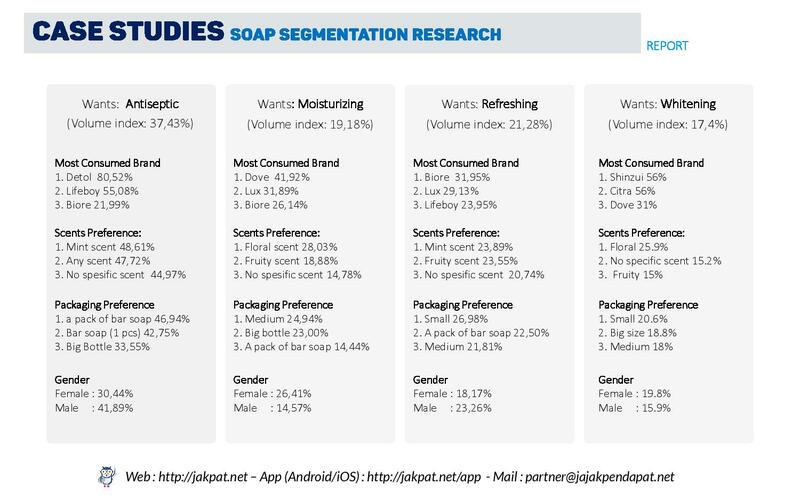 We then use these three reasons as the basic aspect to make the segmentation regarding soap consuming behavior by outlining several aspects. This survey is sent to our 2.867 panels in nationwide. Overall, we can see that respondents with a different motive of consumption have different consumer behavior as well. We can see that their behavior like the preference of soap brand, a place to buy, money spent, scent type and so on differ on each motive of consumption. This entry was posted in Lifestyle on February 21, 2018 by Fauziah Khoiriyani.